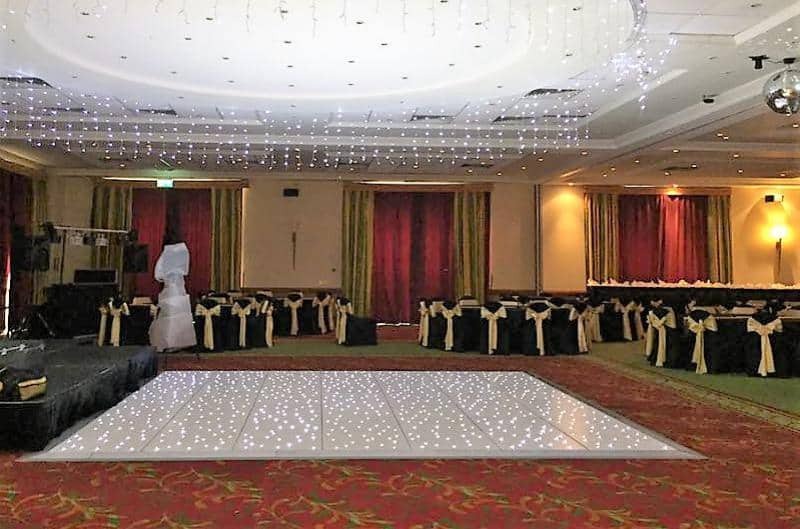 White Led Dancefloor Stoke on Trent in Staffordshire. High-quality products as we only use UK products and not the cheap imports from China. 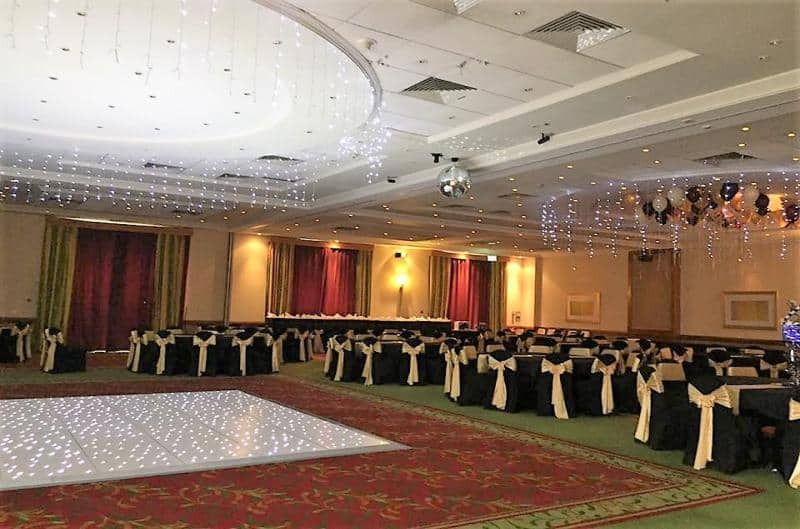 On the 14th October 2017, we provided a white Led dancefloor for a charity in Stoke On Trent. The venue is a popular venue called The Moat House. The full Address of this venue is The Moat House, Etruria Hall, Festival Way, Stoke On Trent, ST1 5BQ. The Moat House is in a quiet location near Hanley, The hotel as 147 bedrooms with unlimited Wifi and easy access to the city centre. They also have excellent facilities including a heated swimming pool, Sauna, Spa Pool and an air Conditioning Gym. 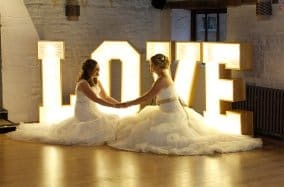 This is an ideal Venue for your wedding as the food is fantastic and a large carpark for up to 350 cars. 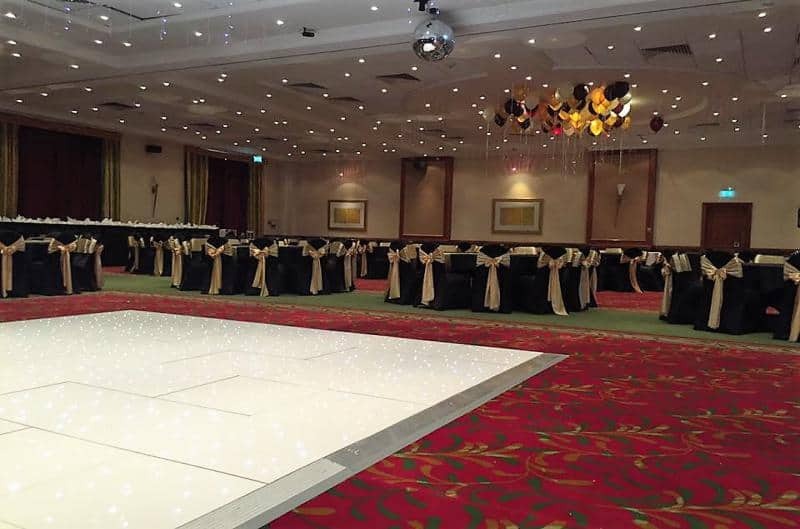 The customer contacted us a few months before there Charity Ball to provide our beautiful White Led Dancefloor. 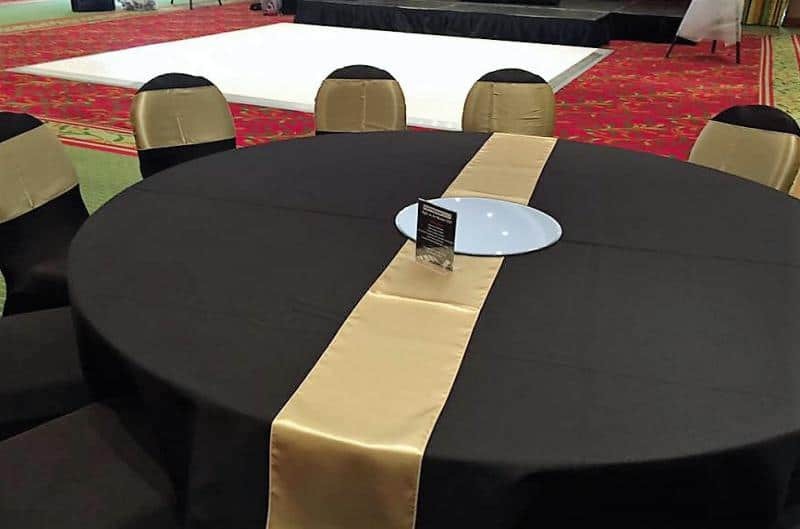 Overall Size is 15 x 15 feet which were ideal for the guests invited. The Customer required an early afternoon set up, so we arrived at 12.15 pm. The customer was happy to see us as we came before the band as they were running late. We were set up within an hour and just as we were leaving the band turn up to set up. Told customer we would return around midnight to pick up the dancefloor. We returned and the party was still going but finished at 00.30. 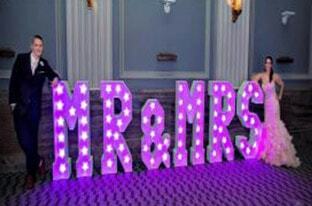 Customer and guests loved the dancefloor and were more than happy with our services.